Director Christopher Nolan continues to push the boundaries of genre filmmaking with Interstellar, a science fiction movie where a father reluctantly leaves his family to find a new home for the human race among the stars. I am glad that I did not sleep on my physics class when our teacher talked about the theory of relativity. There are a lot of scientific concepts from quantum physics to paradox peppered in the film. But the viewers will still find the movie relatable because it is mainly a story of sacrifice and love for the family that could transcend time and space. Being a nerd that I am, I get the movie’s parallelism of gravity, the attracting force between two bodies, with the universal force of love. Nolan has really a great eye and did not stray too far from the reality of what is required for the environment of outer space. The filmmakers also did away from the usual roaring of rocket engines in the vacuum of space portrayed usually in sci-fi films. The absence of sound, while scientifically accurate, also magnifies the human dimension of the journey. It still astounds me that Nolan still uses film, which shows how the director pushes the envelope in using the medium. The 70mm IMAX shots also make the viewing experience even very satisfying. All in all, Interstellar is a science fiction with a soul, placing more emphasis on humanity rather than the extraterrestrial or more aptly perhaps, extradimensional. 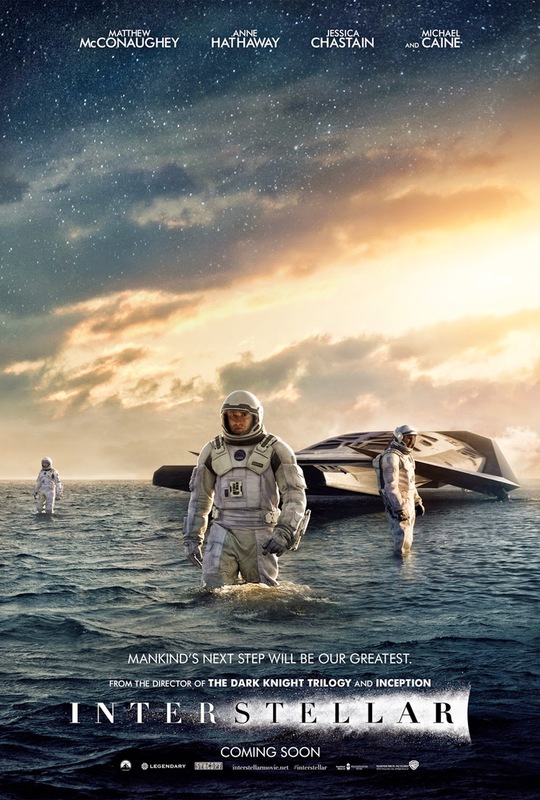 Now playing in the Philippines on Nov. 6, “Interstellar” is distributed by Warner Bros. Pictures. 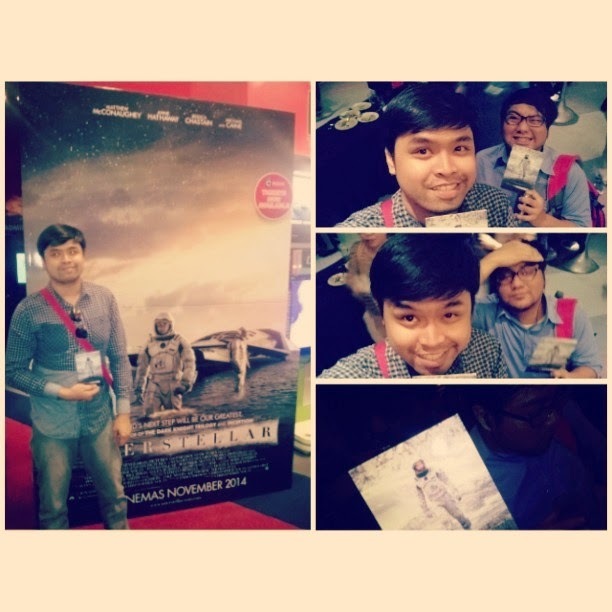 “Interstellar” is available in four formats: IMAX 70mm Film (at IMAX SM Mall of Asia), 35mm Film (at Glorietta 4, Sta. Lucia East and Trinoma), IMAX Digital (at SM Aura Premiere, SM Cebu, SM Clark, SM Lanang, SM Megamall, SM North EDSA and SM Southmall) and Digital 2D (most theatres nationwide). “Interstellar” stars Oscar winner Matthew McConaughey (“Dallas Buyers Club”), Oscar winner Anne Hathaway (“Les Misérables”), Oscar nominee Jessica Chastain (“Zero Dark Thirty”), Bill Irwin (“Rachel Getting Married”), Oscar winner Ellen Burstyn (“Alice Doesn’t Live Here Anymore”), Oscar nominee John Lithgow (“The World According to Garp,” “Terms of Endearment”) and Oscar winner Michael Caine (“The Cider House Rules”). The main cast also includes Casey Affleck, Wes Bentley, Bill Irwin, Mackenzie Foy, Topher Grace and David Gyasi. Directed by Christopher Nolan, the film is written by Jonathan Nolan and Christopher Nolan. 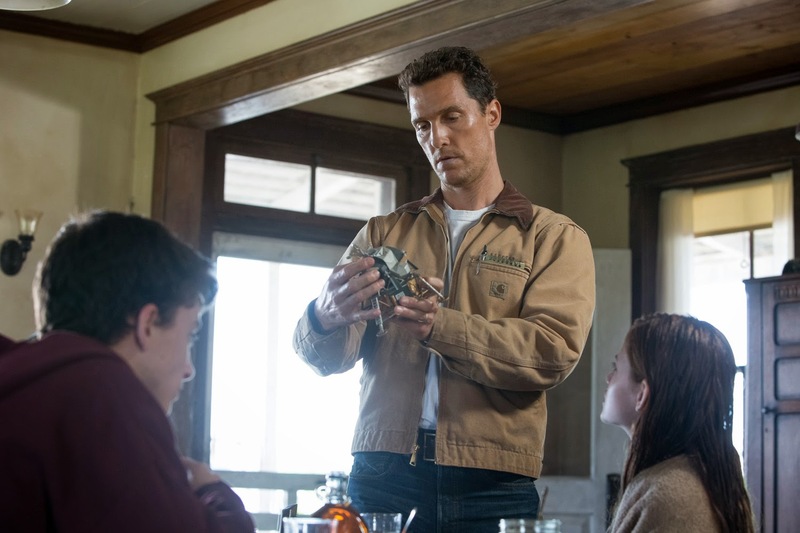 Emma Thomas, Christopher Nolan and Lynda Obst produced “Interstellar,” with Jordan Goldberg, Jake Myers, Kip Thorne and Thomas Tull serving as executive producers.